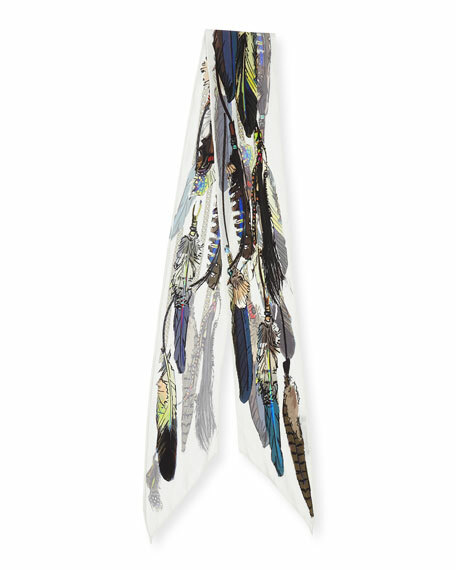 Rockins super skinny scarf in silk with feather print. 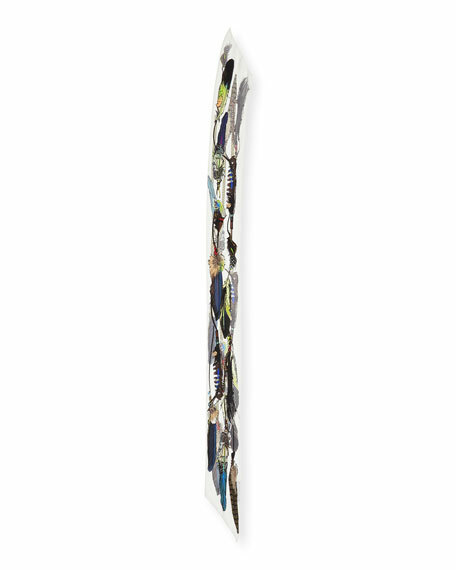 Small frame allows for versatile use; wear around neck or wrist, or accent a handbag. Made in Bulgaria of UK material. THE SKINNY: It all started when Jess Morris and Tim Rockins, partners in work and life, gifted a small batch of bespoke silk scarves to celebrity friends for Christmas. 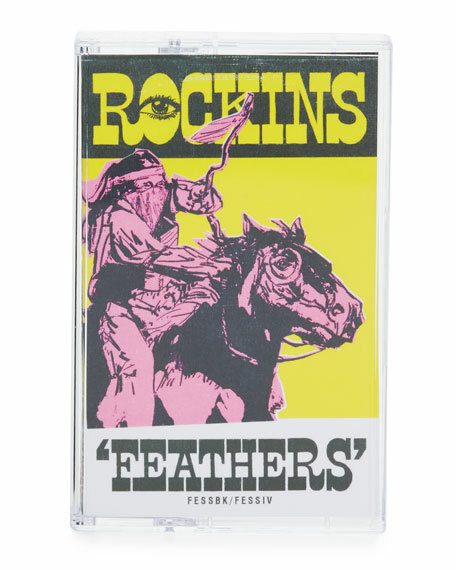 Media interest peaked, and in 2014 Rockins was born. 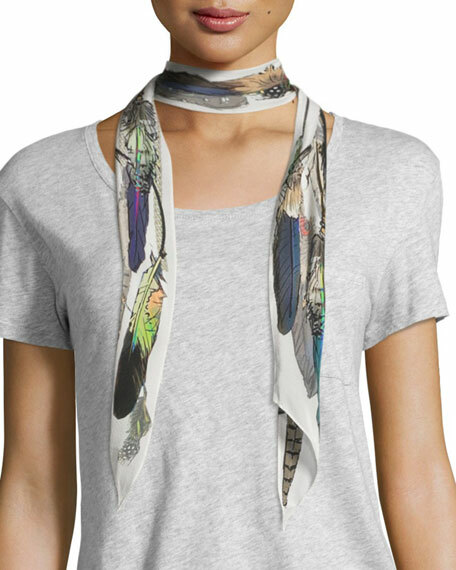 Made from 100% silk crêpe de chine, the super-skinny scarves are designed to be worn loosely around the neck or tied nonchalantly at the hip for an effortlessly relaxedand quintessentially rock 'n' rolllook. For in-store inquiries, use sku #1856465.